Sleep deprivation can have a negative impact on our concentration, work performance, safety, health and quality of life. Fatal and serious injuries have happened to many individuals who were behind the wheels, due to ramming of their vehicles in freeways, motorways and national high ways across the globe with the blink of their eyes due to lack of sleep. Irritability – negative emotions and lack of sleep go hand in hand. Inability to learn – Lack of sleep affects the brains ability to remember and retrieve information, both long term and short term. Poorer vision – The longer a person is awake, the more visually impaired they become. Slower reflexes – Sleep studies points the finger towards slower reflexes. Distractedness – The ability to focus requires a person be fully rested. Sloppiness – One sleepless night contributes to nearly 25% increase in the number of errors made by artisans. The staff will be under pressure to complete certain tasks and when it does not happen, they tend to work beyond the normal working hours and it may even stretch late in the night even. When analysing details about overrun of project estimates, it is found that the amount of extra time and payment received by employees is more than the anticipated budget values. How can this be the case if everything goes normal? This happens due to excessive working hours consumed and this is taken only from the normal sleeping or rest hours depriving the employees of proper sleep. Such situations do cause sleep deprivation and this can trigger safe employee to become an unsafe employee. Longevity of life – Although researchers are not sure why, people who sleep at least eight hours tend to outlive those who regularly get less sleep then eight hours Your immune system works better – Earlier studies with sleep deprivation indicates about development of diseases like obesity, diabetes and hypertension. Good sleep helps sustain the functioning of the immune system and that chronic sleep loss is a risk factor for immune system impairment. You feel better – When you have had enough sleep, you tend to feel better emotionally and physically. Just as not getting enough sleep creates a lot of health and safety issues, getting enough sleep is essential for a happy and healthy lifestyle. It is also mandated by ILO that basic amenities for the comfort of the employees shall be provided by the employer. Only then, the management can get a satisfactory output from the workers and also the management can overcome the laxity by the employees under the pretext of no availability of comfort measures in their work site for a healthy state of mind. Employers who care about their employees’ health and wellbeing can enjoy the benefits of workers taking ill and a few absenteeism leading to higher morale and productivity. Getting proper sleep is a very significant factor for enhancing the morale of the employees. Don’t change your sleep on weekends – maintain your weekday sleep schedules. Your body gets used to this sleep cycle soaking in a hot tub or reading a book before retiring can greatly improve the quality of sleep one gets. Make your bedroom sleep friendly – dark, quiet, comfortable and cool. No TV or electronics in bed - Watching television or working on a computer can impede your ability to relax and fall to sleep. Avoid caffeine, nicotine and alcohol before bedtime. Just think that people who get enough sleep are significantly more productive than those who are deprived and they feel better. Finish eating at least two to three hours before your regular bedtime. Exercise regularly and complete your workout a few hours before bedtime. 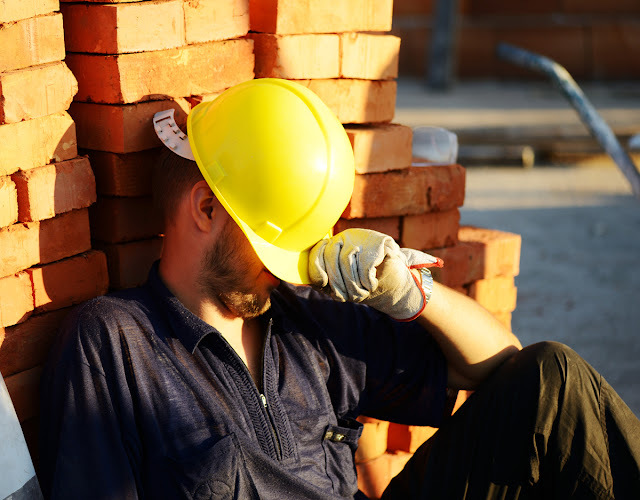 As safety professionals, educate employees about sleep and get enough sleep yourself. You’ll feel better, look better and, most likely, be much more fun to be around and can carry out the works efficiently and enhance the reputation of your organisation by boosting production as well as earning a good name for you too. Be punctual, keep a routine habit and do not oversleep as well which also will adversely affect your health and work pattern.